These Paper Planes Don't Fly but Why Would You Ever Want to Throw Them? The paper planes you used to fold as a kid flew well, but they probably looked nothing like the slick aircraft used by air forces around the world. So the folks at Featuring-Featuring, a London-based design studio, created a book full of paper airplanes that are far more recognizable. 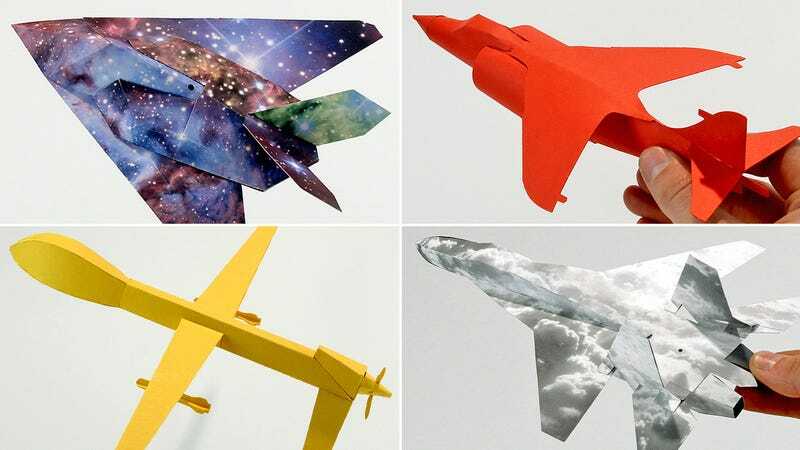 You probably don’t need to be an origami master to realize these creations, but a basic understanding of folding on the dotted line is needed to properly assemble the paper F-117 Nighthawk, Harrier Jump Jet, Predator Drone, and Sukhoi SU-27.